Released this summer, Walking on Sunshine is the feel-good romantic movie of the year, complete with 1980s soundtrack (think Bananarama, Madonna, George Michael) and obligatory complicated love story. 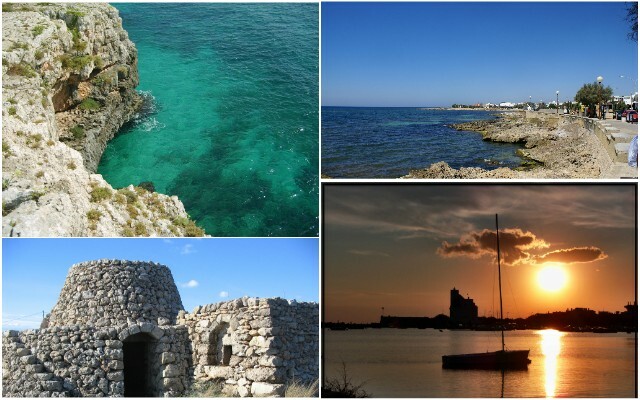 Much of the filming was done in Puglia’s glorious Salento region, particularly Baroque capital Lecce, although seaside towns and the fabulous Lido Cocoloco at Torre San Giovanni also get more than a look in. Directed by Max Giwa and Dania Pasquini, Walking on Sunshine stars Giulio Berruti as Raf and Hannah Atherton and Annabel Scholey as the two sisters involved in the love triangle with the handsome Italian. Leona Lewis of the X-Factor makes her acting debut in the movie too. The film introduces a whole new generation of film-goers to the beauty of Salento and the Puglia tourist board is hoping for the same boost that tiny Greek island Skopelos got when it was the location for the 2008 hit Mamma Mia. Visitor numbers to the island the following year were the highest ever in what became known as the Mamma Mia effect. If chick flicks are your thing and you love the 80s and beautiful scenery, then this could be the summer romance you have been looking for!